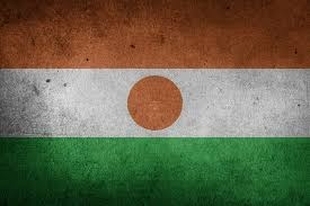 Despite constitutional protections for civic space, civil society activists in Niger are subjected to judicial persecution, intimidation and arbitrary arrest, often because of their human rights activities. On 24th July, the Niamey High Court sentenced civil society leaders and human right defenders Ali Idrissa Nana , Nouhou Arzika, Moussa Tchangari and Lirwana Abdourahamane, to suspended prison sentences of three months for "provocation of an unarmed gathering through posters and writings". On 24th July, the Niamey High Court sentenced CSO leaders and human right defenders Ali Idrissa Nana of Rotab (Réseau des organisations pour la transparence et l'analyse budgétaire - Network for Transparency and Budgetary Analysis), Nouhou Arzika of Mouvement pour la promotion de la citoyenneté responsable (Movement for the Promotion of Responsible Citizenship), Moussa Tchangari of Alternative espace citoyen (Alternative Citizen Space) and Lirwana Abdourahamane, to a suspended prison sentence of three months for "provocation of an unarmed gathering through posters and writings". All were released the same evening, except Abdourahamane, who was sentenced to 24 months in prison, of which 12 month suspended, on the additional charge of "contempt of court through speech". The additional charge relates to Abdourahamane's accusations during the 10th July hearing that judges had received money to keep the HRDs in prison. The four have been in detention since their arrest on 25th March 2018. A total of 24 people arrested on 25th March in relation to the protests against the 2018 Budget Law stood trial from 20th July on charges of "complicity in the destruction of property, in violence and aggression" and "organisation and participation in a banned protest". The public prosecutor demanded a three-year prison sentence and a fine of 100,000 francs CFA (178 USD) against Ali Idrissa Nana, Nouhou Arzika and Moussa Tchangari, and a one-year sentence and the same fine for Lirwana Abdourahamane. Civil society activists and human rights defenders Ibrahim Diori of Alternative Espace Citoyens and Maikoul Zodi, national coordinator of Tournons la Page in Niger, are still to stand trial. They were arrested on 15th April 2018 in relation to the protests against the 2018 Budget Law. While the authorities generally allow civil society to operate, NGOs find security is a concern in the north of the country because of the actions of extremist groups. While the authorities generally allow civil society to operate, NGOs find security is a concern in the north of the country because of the actions of extremist groups. The government also uses the fight against terror to clamp down on dissenting voices, a tactic which has made the environment for civil society more difficult. In May 2015, human rights defender and Secretary General of civil society organisation Alternative Espace, Moussa Tchangari, was arrested by the anti-terror brigade after conducting a media interview concerning traditional leaders. He was arrested on suspicion of conspiring with Boko Haram insurgents in Nigeria and charged with “undermining national defence”. He was later arrested for taking food to detained traditional chiefs. In May 2014, the coordinator of NGO Volontaires pour L’integration Educative was arrested and detained for over a month after speaking on a radio programme about starvation in the Oualam region. He was later released without charge. In 2015, Nouhou Azirka, President of the Movement for the Promotion of Responsible Citizenship, was arrested for “endangering national security” after he said soldiers were working under poor conditions. Organisers of peaceful protests are required to give the authorities 48-hours’ advanced notification. Organisers of peaceful protests are required to give the authorities 48-hours’ advanced notification. Public protests do take place in Niger but police sometimes use disproportionate force to break them up. In 2013, police violently dispersed a teachers' strike with baton charges and teargas, also arresting union leaders. The police have also been accused of poor crowd control and resorting to the use of teargas as a first measure. In 2014, students at Abdou Moumouni University who were calling for student grants were forcefully dispersed. Some deaths during protests have also resulted from the actions of the police. Due to the escalation of the security crisis, the authorities imposed a state of emergency in the Diffa region in February 2015, limiting the freedom of movement and freedom of assembly. Niger is committed to freedom of expression through its constitution and other international agreements it has ratified, including the Table Mountain Declaration, in which it commits to creating an environment for freedom of expression to flourish. Niger is committed to freedom of expression through its constitution and other international agreements it has ratified, including the Table Mountain Declaration, in which it commits to creating an environment for freedom of expression to flourish. In practice, however, journalists face obstacles to their work and are regularly taken to court because of what they write, although prison sentences for media offences were scrapped by law in 2010. Journalists are routinely arrested for criticising the president or accusing him of corruption. In 2015, access to social media was blocked for a few hours to silence criticism of the president’s participation in a memorial for the Charlie Hebdo attack in France. The army is also very sensitive to reporting on its activities. Also in 2015, two newspapers, L’Actualité and L’Opinion, were banned from publishing for a month for allegedly violating the journalist’s charter. In 2013, the editor of L’evenement newspaper was threatened by a senior army official after the publication of an article claiming army officials had been arrested for taking part in a botched coup attempt. In 2014, the editor of L’enqueteur newspaper was arrested and charged with conspiracy against the state after publishing an article saying the ruling party’s days were numbered. In the same year, a host on Radio Television Bonferey was arrested after airing a programme in which the president was accused of corruption. Journalists also suffer physical assaults. For instance, in 2013, journalists were attacked by security forces for covering a teachers' strike.